The term Blended Learning is generally applied to the practice of using both online and in-person learning experiences when teaching students (Abbott 2014). This term has developed for many years with changing interpretations. 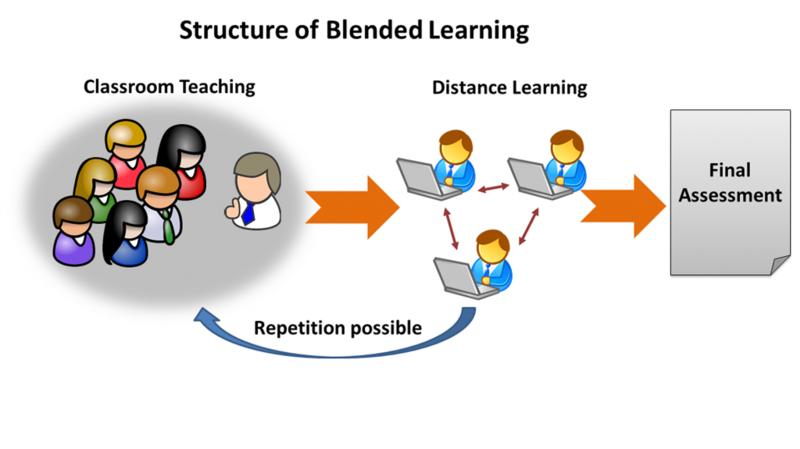 Blended Learning means a teaching method, where face-to-face teaching is combined with distance learning. The teaching process is supported by the use of an appropriate learning platform. The term eLearning (modern: Technology Enhanced Learning TEL) in this document refers to the platform-supplied distance learning. 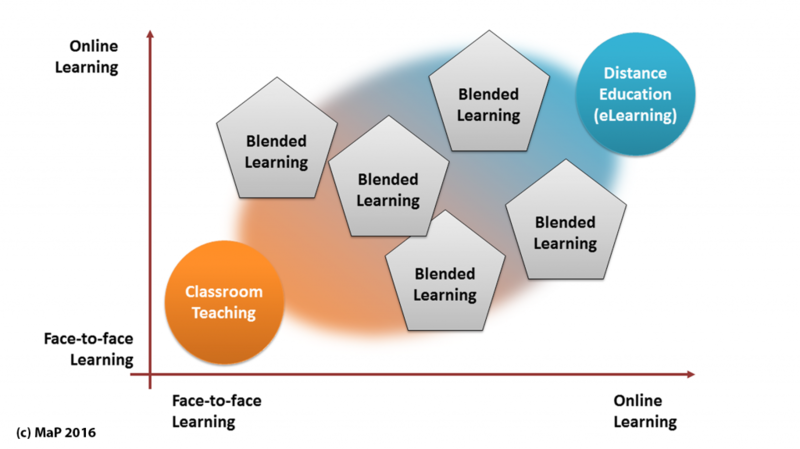 What does Blended Learning mean? Blended Learning is a teaching method and no pedagogical or didactical concept. Blended Learning describes the technique used for teaching. This means teaching highly connected with the use of ICT. ICT offers new opportunities but also new challenges for both instructors and students (Redmond 2011). Teachers and trainers change their working place and reduce the time used in the traditional brick-and-mortar environment. Students get the independency to decide, what, where, when and how they learn during the distance learning. Hint: This post summarizes the results of the BladEdu project. teaching and experienced in eLearning and modern teaching methods. The Colegio Costa Adeje is the coordinator in the project. The Swedish Association for Distance Education (SADE) has a special focus on OODL and OOFAT and provides experience in quality enhancement systems. The project developes C-VET training courses for training performed in formal and in non-formal C-VET education. These courses use Blended Learning as a technology enhanced method and focus on the use of multiple devices (as used by the trainees an everyday life). The innovation is the implementation of a trainee-focusing pedagogical framework based on heutagogy, the development of an all-encompassing quality enhancement framework (including also the pedagogy) and the approach to the diversity of various technical equipment (the multiple devices). The project is complementary to a Grundvig Multilateral project by transferring the theoretical developed outputs to a practical implementation in a different (but similar) educational sector. The project combines knowledge and experience from VET training institutions with the research and innovation potential of universities. University of Aveiro are specialised in innovation in technology enhanced training and the related pedagogy. SADE is a specialist in Distance Learning and quality enhancement frameworks. These participants ensure a consortium well-distributed in Europe. 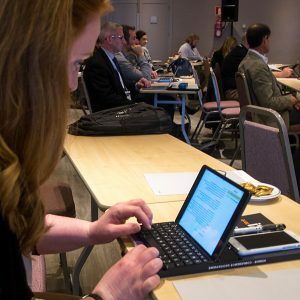 The project results impact to the trainer community in Europe providing innovative and modern training (based on Blended Learning and including workplace-based training) with a technology enhanced approach to training using multiple devices. EBI/EIE was founding member of the EFQBL and still is close connected to this organisation. The webpage of the project offers considerations about Blended Learning, the use of multiple devices, pedagogical considerations in context with the training and the specific training conditions in web-based C-VET training and the working trainees. The created project results including the developed toolbox are free for use.